The Climate Guides Mentorship program is building collaborative, intergenerational and peer-to-peer relationships between emerging climate leaders and professionals in the field. The 2019 Mentorship program is a 2-month accelerator program from June 1st to July 31st. Young climate leaders between the ages of 18 and 30 are grouped into teams of 3-5. Each team of mentees will be supported by 1-2 mentors, and will focus on one of the following themes: nature, food, justice, energy, and cities. 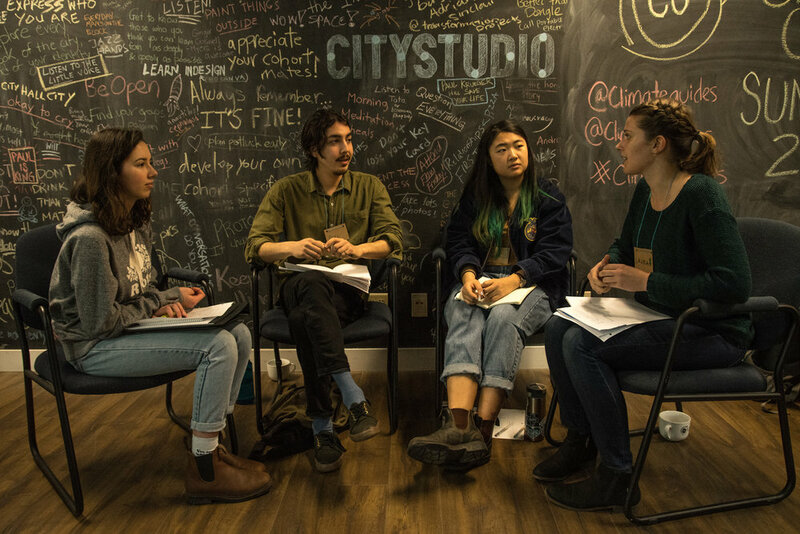 During the two-months, mentee teams will determine the climate change problem they aim to address, develop a comprehensive plan to address that problem, secure project funding, and launch their initiative. To support this effort, the program offers guidance from mentors, capacity building and skill building opportunities, and access to $1,500 of seed funding from Taking IT Global #RisingYouth grants. The program launches with a Summit that gathers the entire cohort together and wraps up with Showcase open to the public. Mentees will also participate in two skill-building workshops during the program. Mentees are expected to attend all four events (Summit, Showcase, and two workshops) and commit approximately 3 to 4 hours a week to the program, which will be dedicated to mentorship, group meetings, and project development. Why should you apply? Mentees in the Climate Guides Mentorship program gain concrete project management and delivery skills, grow their networks in the climate change field, and join an intergenerational community of climate leaders. If you are an emerging climate leader, eager for an opportunity to take the next step in your career path, meet like-minded people, and engage meaningfully in climate action, apply now to join the Climate Guides mentorship program! Applications close April 22nd 2019 (Earth Day!) at 11:59pm PDT. The 2019 Climate Guides Mentorship Program runs from June 1st to July 31st 2019. For eligibility criteria (including time commitments and timelines) and to answer any questions, please see the FAQ section below prior to contacting us.